This I suppose is the usual “Real Books v E-Books” thing, which tends to send even Mrs Trellis back to her “Heat” magazine with the vapours. We went to a second-hand book sale in a church hall a couple of weeks ago. Clearly having “No Books At All” in the house made this an important mission. I picked up this book, identifying it as possibly interesting, unlikely to exist on Amazon and a nice book to hold. It’s call “Men Women And Books” by Leigh Hunt. (There’s a big piece on him in Wikipedia). It’s a collection of essays, journalism and short fiction and was first published in 1847. My edition came out in 1943 and was published by “Live Books Resurrected” about whom I know nothing. A scanned reprint of Volume One only is available for silly money from Amazon.co.uk. My copy has both volumes. 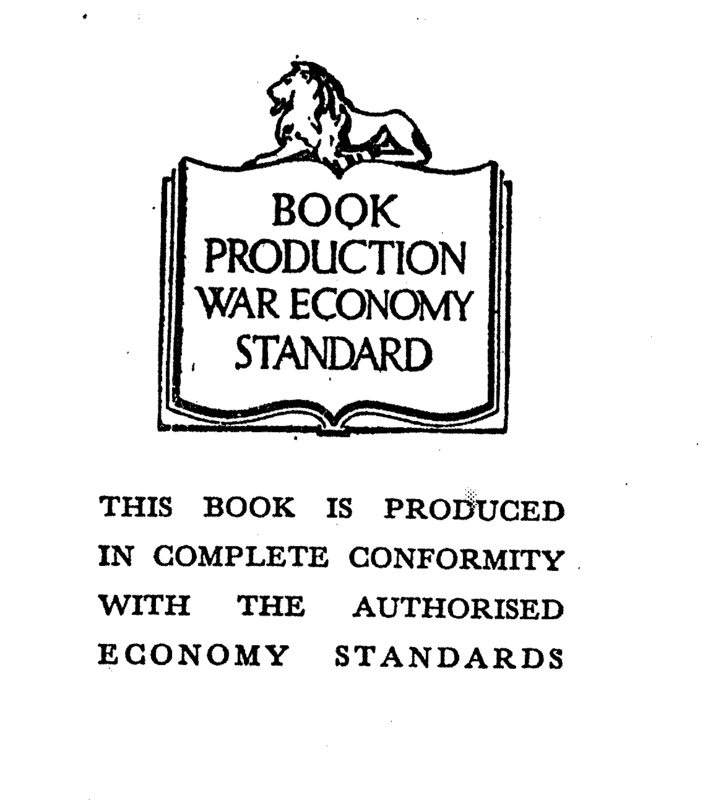 It was printed in the War to strict economy standards. What this means is that it is printed on inexpensive paper and follows quite complex rules about words per page, margins etc. In practice what I have is a hardback book which is certainly more utilitarian in appearance than we’re used to today, but there’s this: the standard of proofreading & editing is miles beyond that of many modern books. I’m about half-way through and there’s not a single typesetting or spelling error, and I suspect the publishers & printers would have been very embarrassed if any were to be found, wartime or not. 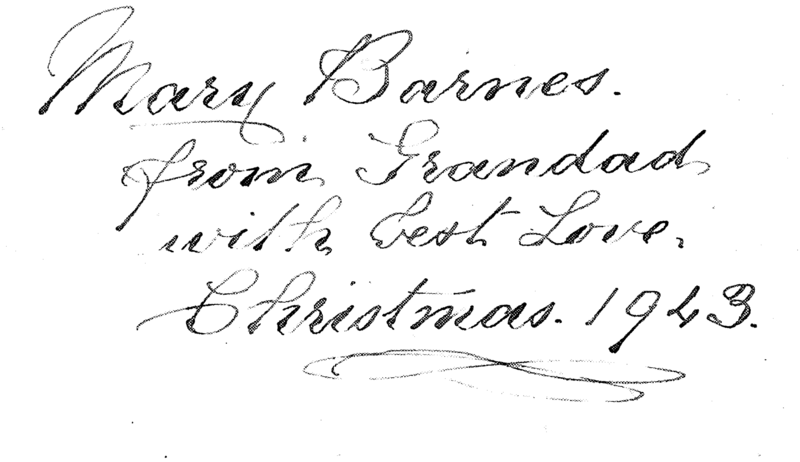 I hope Mary Barnes enjoyed it. (I don’t suppose there’s the slightest chance that it was this Mary Barnes? No, I doubt it. The dates are OK but I’ve got nothing else). How much less fun than this would have been a Kindle edition. Thanks to the person who donated it at the Church Hall, who perhaps was a child or grandchild of Mary Barnes. I’ll look after it!